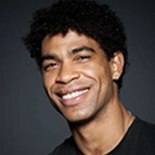 The greatest male ballet dancer of his generation, Carlos was the lead principal dancer at The Royal Ballet and now runs Acosta Danza in Cuba. He is an extraordinary writer. 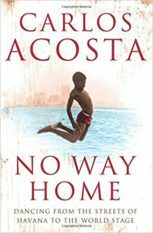 His memoir No Way Home tells the story of the eleventh child of a truck driver in the slums of Havana who was a delinquent and whose father put him into ballet school to get him off the streets. Published by HarperCollins UK, Scribners US and Schott in Germany, it was a huge success. YURI, the film based on the memoir, directed by Iciar Bollain and written by Paul Laverty, will be launched in September 2018. 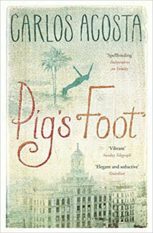 Pig’s Foot, his vibrant first novel (translated by Frank Wynne), is a historical, set in a former slave community in Cuba. Bloomsbury published it as a Waterstones’ debut selection in 2013. He was awarded the CBE in the Queen’s 2014 New Year Honours List.